The item No. 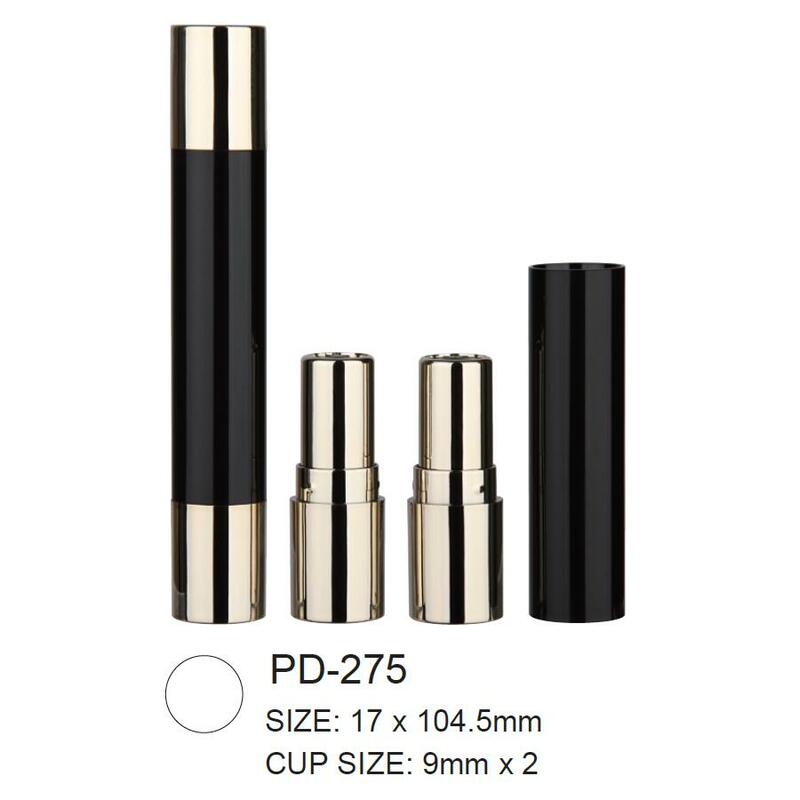 of this double-end Empty Lipstick is PD-275. Any injection colour,spray painting/UV coating/metallized is availabel for this double-end Lipstick Tube.Also we can do silk-screen printing and hot stamping.Below is the detailed information about this empty double-end plastic Lipstick Packaging. Looking for ideal Empty Double-end Plastic Lipstick Tube Manufacturer & supplier ? We have a wide selection at great prices to help you get creative. All the Plastic Cosmetic Double-end Lipstick Container are quality guaranteed. We are China Origin Factory of Cosmetic Double-end Lipstick Packaging. If you have any question, please feel free to contact us.